In 1984, July was designated as National Ice Cream Month, and the third Sunday in July as National Ice Cream Day. 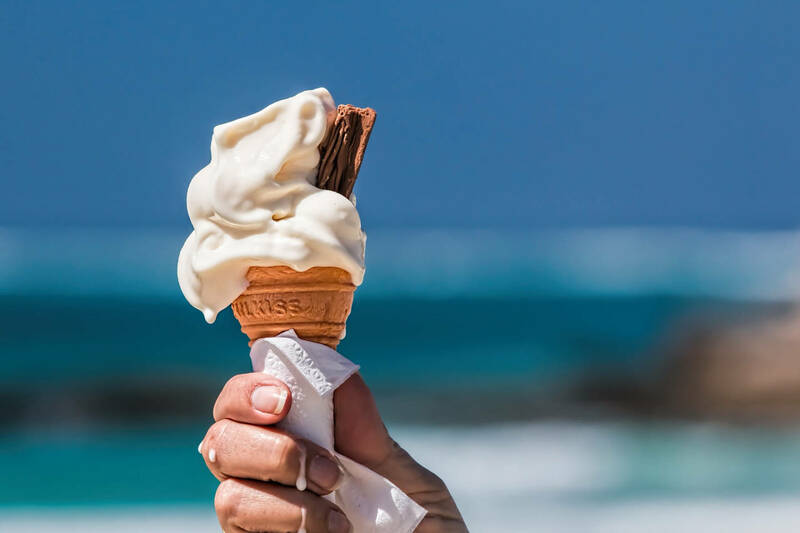 To celebrate the sweetest month of the year, learn about the science and methods of making ice cream with the following resources. Additional videos and interactive games can be found in PBS LearningMedia. Did you know that ice cream is neither a liquid nor a solid but a complex colloid? In this informative podcast from Science Friday, a cookbook author and an artisan ice cream maker discuss the elements of making ice cream and the science behind it. Become an expert on the physics of freezing and learn how to create the correct ratio of fats, sugars and emulsifiers for that perfect, smooth ice cream texture. Anyone can make ice cream at home with just a plastic bag and some simple ingredients. This instructional video from CK-12 will guide you through this fun activity. Discover scientific facts of the ice cream production and learn why salt plays an important role in the process. Learn about the challenges of being a mechanical engineer at a large ice cream factory. In this video from Design Squad Nation, Ben & Jerry’s engineer Pete Gosselin talks about production machinery and shares tips for making smooth ice cream. Masha Pershay is an Education Services Intern at KQED. She is a recent graduate of San Francisco State University, where she majored in media studies and audio engineering. Formerly a college radio DJ at KUSF, Masha continues to pursue her passion for sound production through various projects ranging from podcasting to recording sound for visual media, as well as live DJing.